I was amazed to learn some otherwise kitchen competent peeps are intimidated by cooking a Thanksgiving dinner. Always a guest and never the hostess, why? It’s not that hard. Here is how to pull it off with ease. 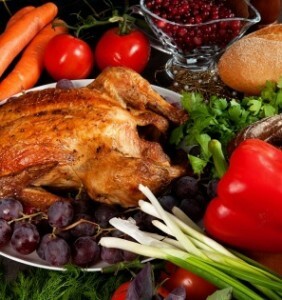 So, How do I cook a Thanksgiving Dinner? Let’s talk Turkey! I’m starting with the basics here. Sure I make chutneys, fancy roasted veggies but for this article let’s cater to the kitchen wizard in training, To make life easier I recommend starting your shopping ahead of time. Most things can be purchased well in advance. It helps to avoid the crowds and spreads the cost out over a few weeks. 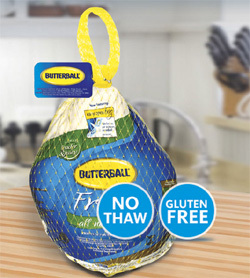 Tender and juicy, Butterball Fresh Whole Turkeys are all natural, never frozen, gluten free, and raised without hormones on American farms, giving you the highest quality turkey for your holiday meal.